At 00:46 a.m. on Monday, Douglas County Fire District No.2 firefighters responded to a house fire at 175 Club St in Roseburg. When crews arrived on the scene at 00:54 a.m. they found the front half of the double wide mobile home completely engulfed in flames. First arriving fire crews concentrated their initial efforts on preventing the spread of the fire to rear of the residence, and requested addition assistance from Roseburg Fire Dept. 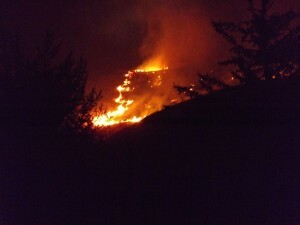 As additional crews arrived, the fire suppression efforts expanded to protect the neighboring homes. The fire claimed the life of the resident and multiple pets. At 1:30 p.m. this afternoon Douglas County Fire District No.2 firefighters responded to a house fire at 829 Plateau Drive in Roseburg. Prior to their arrival at the scene responding crews received witness reports through 911 that smoke was coming out of all the windows of the home. The first arriving crews marked on the scene at 1:35 p.m. and found the single family dwelling fully involved with fire. The two residents that lived in the home had already exited the structure safely. The Cold Water Challenge benefits the National Fallen Firefighters Foundation. Click this link for more details. 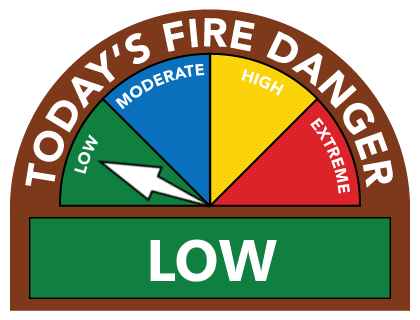 Effective Monday June 30th until further notice, all open burning in prohibited within the fire service area of Douglas County Fire District No.2 (DCFD2) including the communities of Dixonville, Green, Melrose, Winchester, Wilbur, Garden Valley, Umpqua, Calapooia and the City of Sutherlin. The ban aims to reduce the risks of hostile fires resulting from open burns escaping control. The restrictions will extend until cooler temperatures and/or rain occurs, sometime in October, which minimizes fire danger. Outdoor fire place burning (chimneys (chimeneas), burning urns, decorating fire pits, etc.) No permit is required to burn in these appliances. Douglas County Fire District No.2 (DCFD2) recently received news about ISO Public Protection Class ratings, and they are looking better than ever before for the fire district. • Class 3 – Applies to all structures within 1,000 feet of a fire hydrant. • Class 5 – Applies to all structures more than 1,000 feet of a fire hydrant, but within 7 road miles of a DCFD2 fire station. • Class 10 – (the highest classification, and the one that generates the highest fire insurance premiums) applies currently to all properties beyond 7 road miles of a fire station. The Insurance Services Office (ISO) is an independent entity and its Public Protection Classification (PPC) service rates fire districts throughout the U.S. gauging their fire protection capability to respond to structure fires in the communities they serve. ISO rates fire districts in three categories and assigns points. Ten percent of the score is based on how well alarms are received and dispatched by the County 911 Center. Fifty percent of the score is based on a fire district’s station distribution, personnel, equipment, training, and fire code building inspections. Forty percent of the overall score focuses on water delivery. At the end of the rating process ISO assigns a PPC from 1 to 10. Class 1 represents the best public protection, and class 10 indicates no recognized fire protection. According to ISO there are only 41 fire departments with a class 3 rating, and 158 with a class 5 rating in Oregon. Country wide there are only 2,410 fire departments with a class 3 rating, and 8,722 with a class 5 rating. Whether we like it or not, paying for insurance is a fact of life. Homeowner and business insurance companies use many factors when determining the cost of insurance premiums. One major factor is the level of fire protection available to a community. Most insurance carriers rely on the information provided by ISO to determine the quality of fire protection available to a community when establishing insurance rates. Chief Marlar encourages DCFD2 taxpayers to contact their insurance agents as they might have the opportunity to reduce their insurance rates with the newly established (lower) ISO ratings. DCFD2 recognizes the importance of those changes and improvements within its service area and is planning to make home and business owners aware of them. It is also planning to send out a letter to all insurance carriers in the area outlining the new ISO ratings for the district. Property owners that reside within DCFD2 service area boundaries but are not district taxpayers will have an ISO Public Protection Classification of 10 due to the fact that they do not have fire protection.